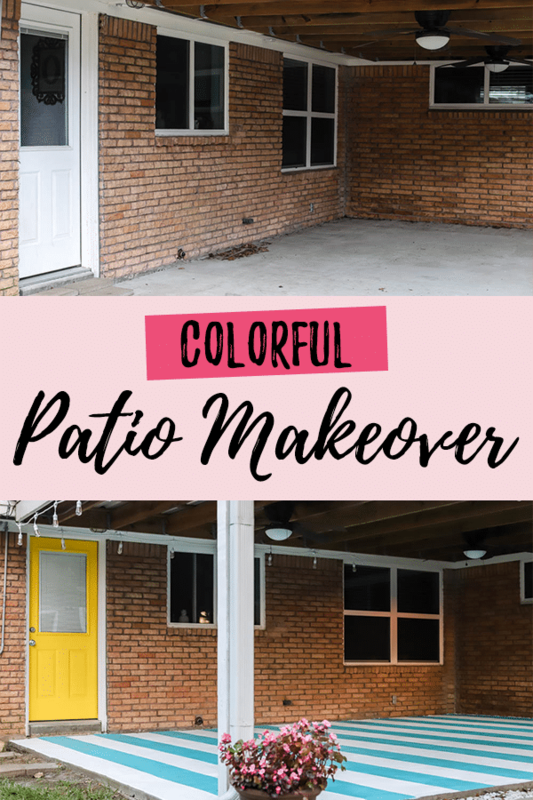 Our Patio Makeover – Color Changes Everything! 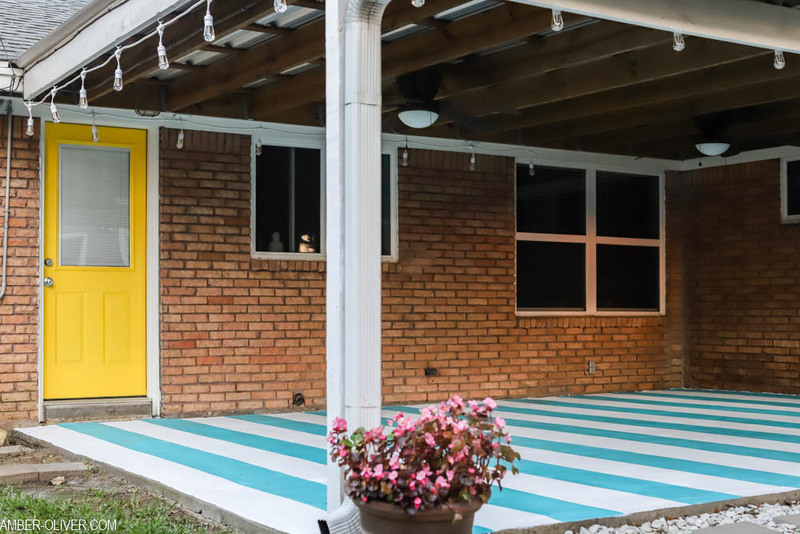 We made major improvements to our patio by adding COLOR! 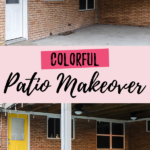 Our patio makeover: painting our backdoor, painting the patio concrete, and adding new lights! This post is sponsored by Enbrighten. When we moved in to our first home (about 3 years ago!) we were so excited for all the potential DIY projects. We immediately made a list of things we wanted to change and do – it was a big list! The “fun” part of home ownership is sometimes you don’t get to do the projects you want and have to do the projects you need. 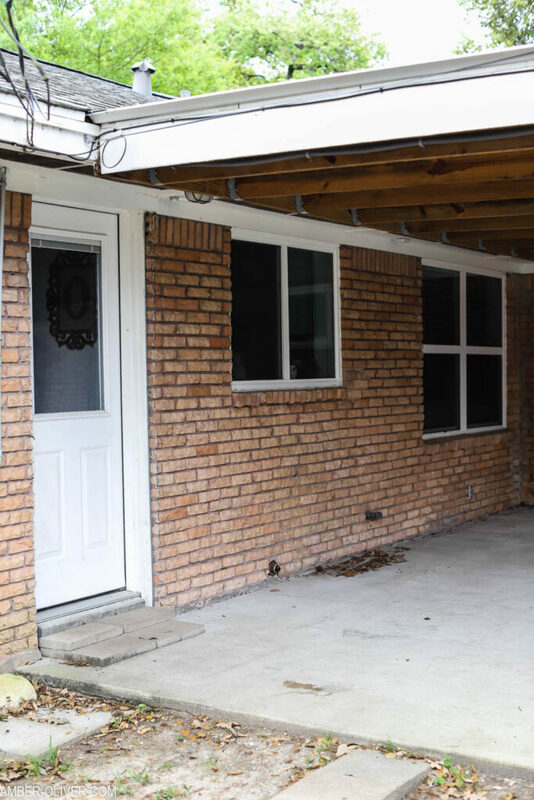 The budget goes towards adding gutters and making repairs, roof leaks and AC maintenance. But once you take care of business, it’s time for the FUN parts! 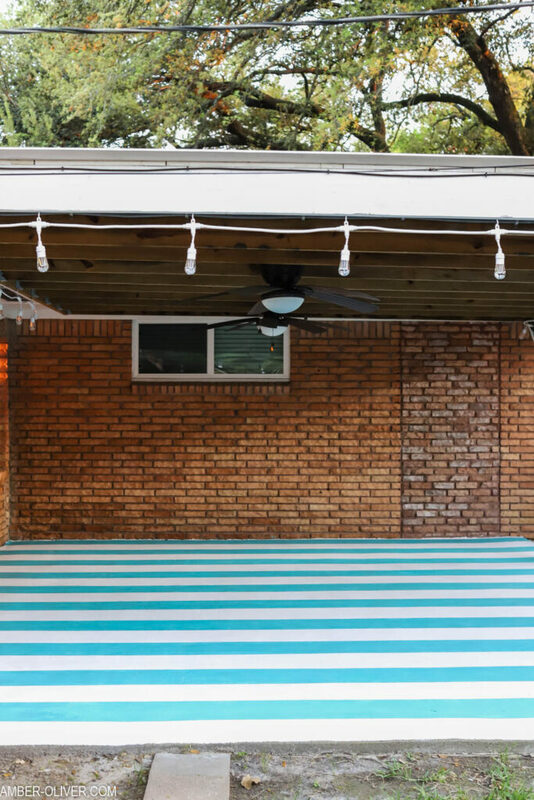 One item on our to-do list for the past few years was to paint our patio. 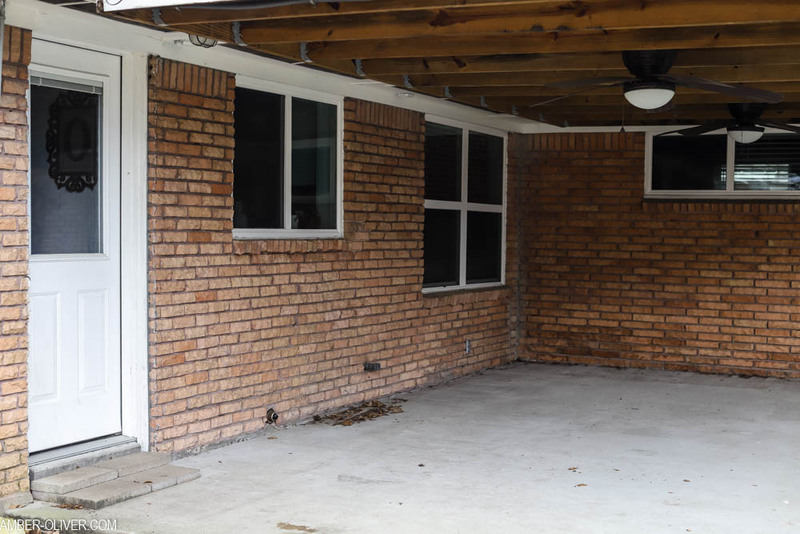 We have a red/tan brick house with a gray concrete patio in the backyard. 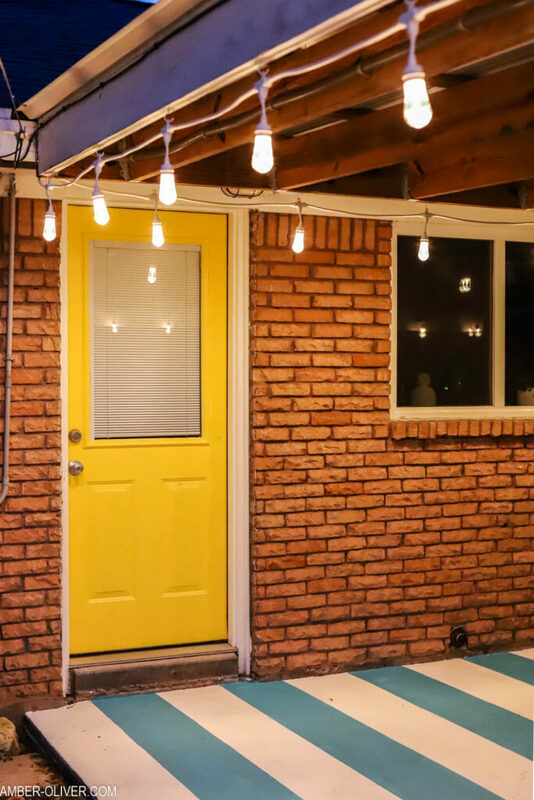 We wanted to add a bit of COLOR and PERSONALITY so we spent one weekend painting our patio and adding new lights! 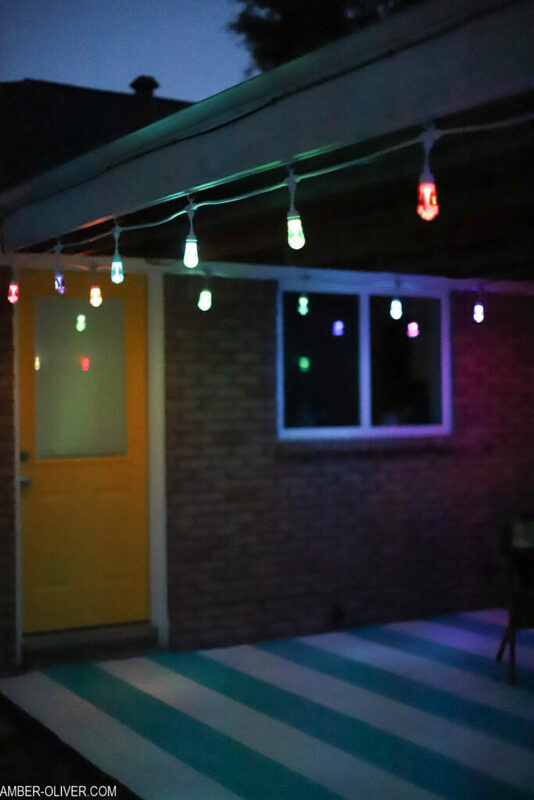 The painting was a bit of work but made a HUGE change and our new Enbrighten Seasons Color Changing Cafe Lights & Mini Landscape Lights added the perfect, colorful, finishing touch! Friday afternoon: We cleared the patio and I power-washed EVERYTHING. Friday night: Eric use an all-in-one concrete cleaner to clean, degrease, and etch the patio. Saturday: I started painting! 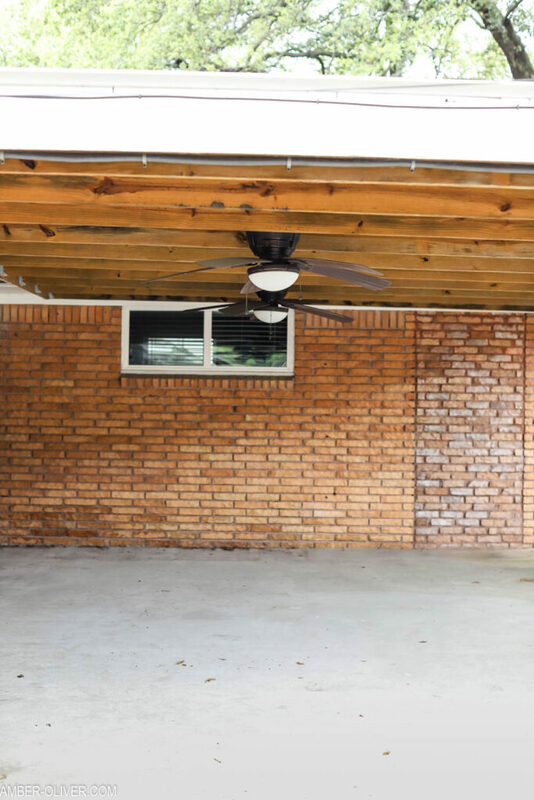 I cut in all the way around the patio with a brush, then used a roller with a long stick to paint larger sections. It took almost 3 hours to get the first layer (white) down. I also gave our backdoor a quick coat of YELLOW paint! It took less than 30 minutes!! 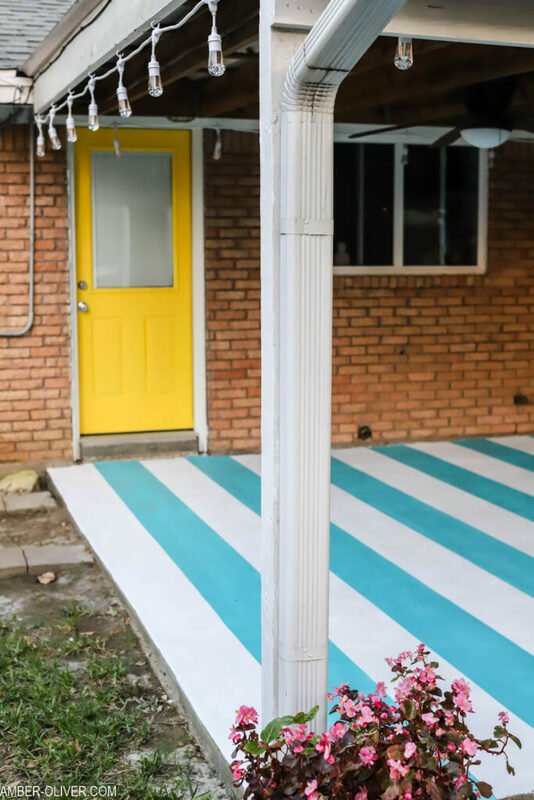 Sunday: We considered doing a second coat, but because we had pretty good coverage already, most of the patio would be covered in furniture and the other stripes, and that paint is darn expensive, we moved on to the stripes! We used painters tape to make lines, and added beautiful turquoise blue stripes! Tuesday: We waited at least 48 hours before moving our furntiure back to the patio. Now it was time to add some lights! After all the painting was done, we were ready to put up our new Enbrighten Seasons Color-Changing Café Lights! 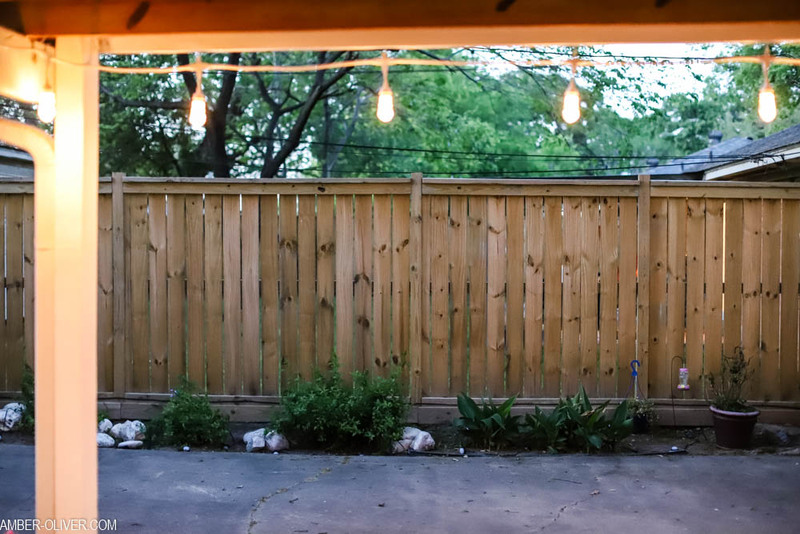 We pre-drilled a hole every 2 feet around our patio and added screw in hooks. Then we simply slipped the Enbrighten Seasons Cafe Lights into place! We had everything hung in about 30 minutes. The goal of this makeover was to bring more COLOR to our space and boy do these guys deliver! 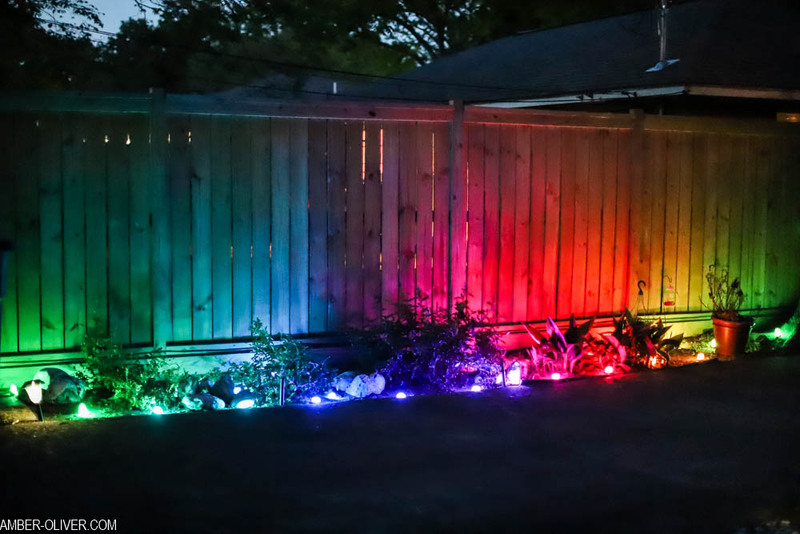 We also added Enbrighten Mini Landscape Lights in the garden along our driveway/fence and it completely lit up that space! Everything we needed for those was in the box so it only took about 15 minutes to get these into place! 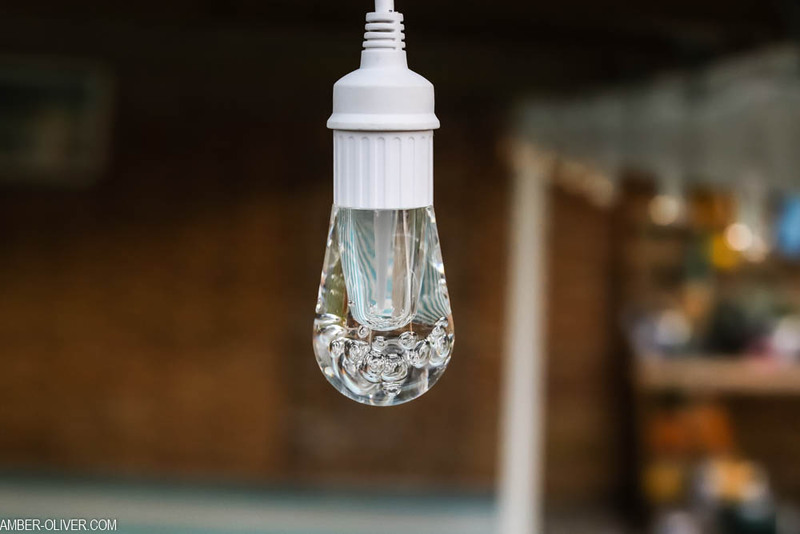 Available in 24 ft and 48 ft with a black or white cord. 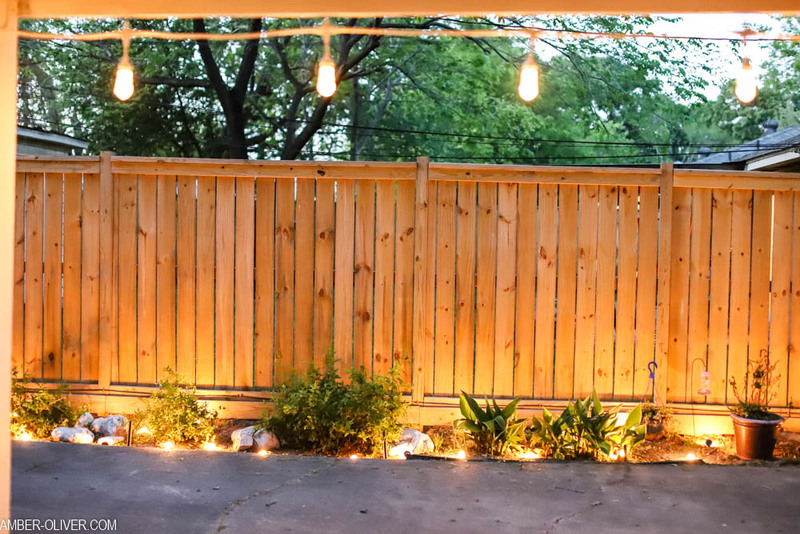 You can also link them up to 750 ft.
Use outside: in the yard or on the patio. A great way to add a little fun to your decor, add curb appeal, year round accent lighting, AND seasonal/holiday themed lighting! The lights are super strong and impact resistant! They won’t break if dropped or stepped on! These babies are commercial grade and UL Listed for permanent installation: meaning they’re designed for year round exposure to the elements and you’ll only have to set them up ONCE! 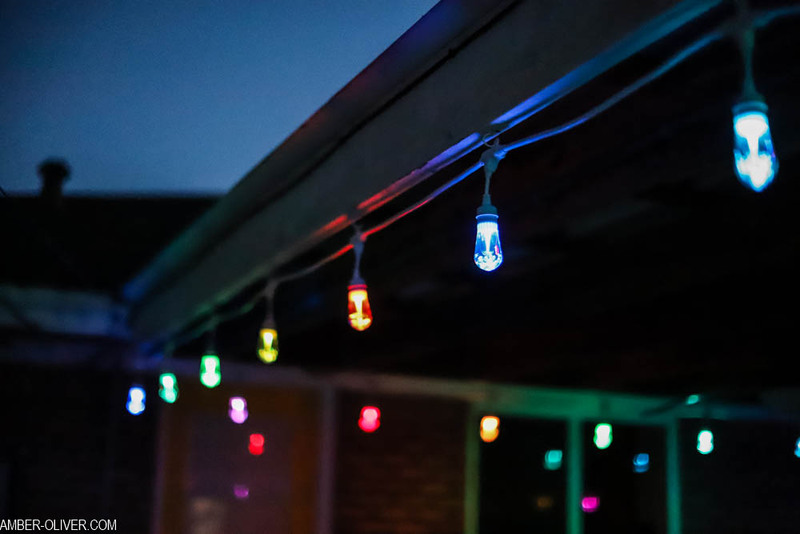 You get a pair-able remote control so you can not only control the features wirelessly and customize your lighting – you can control both the Enbrighten Mini Landscape Lights & Cafe Lights together! 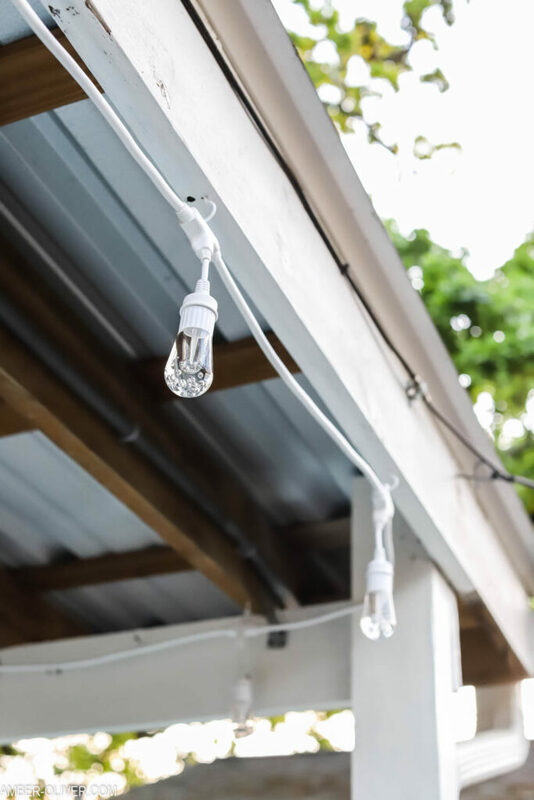 These come in 4 different lengths (6 lights/10 ft, 12 lights/22 ft., 24 lights/46 ft, 36 lights/70 ft.) All lengths have 22 ft. lead wire and flexible 2 ft. spacing between lights. These are also controllable by remote! Features include – dimming, countdown timers, preset themes, effects, change colors (over 120 color combinations, or any two-color combo), and 3 adjustable white lights (warm white, soft white, daylight). 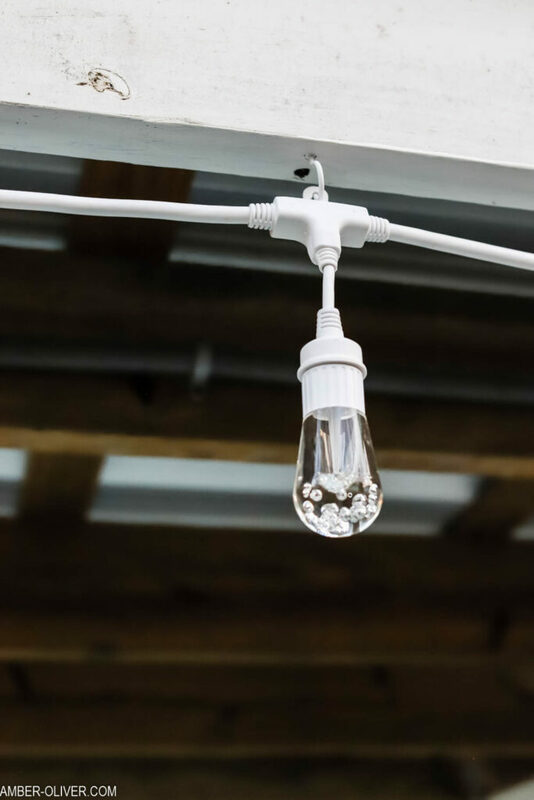 These are high quality lights and designed for year-round use! 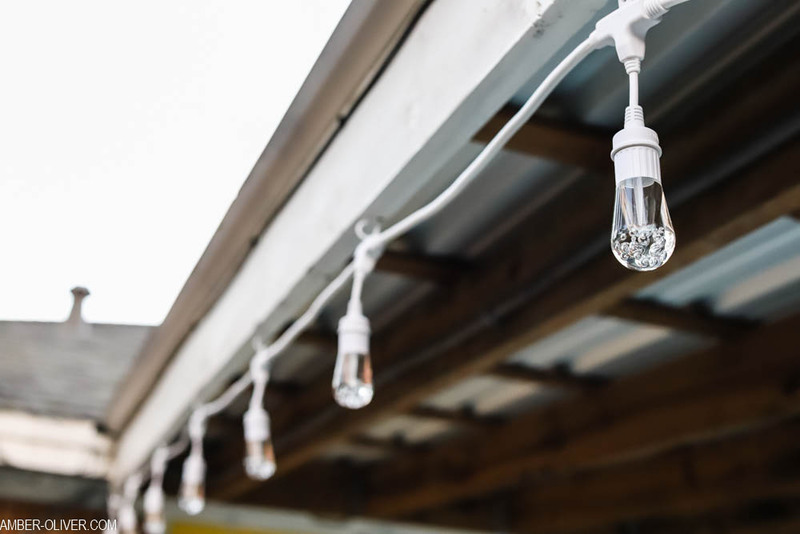 There are multiple mounting options for up or down lighting in flower beds, gardens, walkways, decks, as accent lighting, etc.